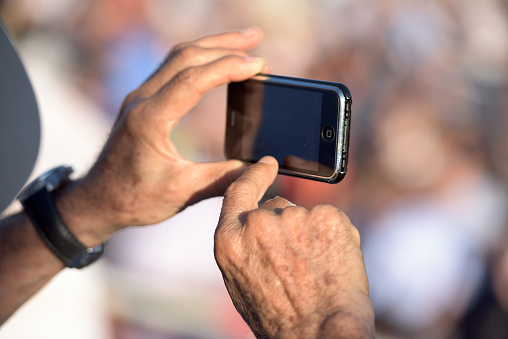 Your smartphone can be used for much more than talking, texting, and surfing the web. New software developed by experts at the Medical and Surgical Center for Retina, along with the Monterrey Institute of Technology and Higher Education, can turn a common smartphone into a tool to detect early signs of eye disease. The software relies on the camera to search for and pinpoint any abnormal functions in the patient’s retina. Whatever abnormalities the phone detects will then be interpreted by a physician. An example could be the variations in thickness of the retina, which are an indicator of macular edema. This disease is a condition that is linked to diabetes, where people experience swelling in the retina as a result of leaking blood vessels. Developers have made it clear that they have no intentions of using this software to replace real ophthalmologists. The software is designed for physicians who, after detecting a problem with a patient’s eyesight, can refer their patients to a specialist for proper diagnosis. The software has already been through the testing phase, and can be expected to be released in the near future. This can be extremely beneficial for Americans. 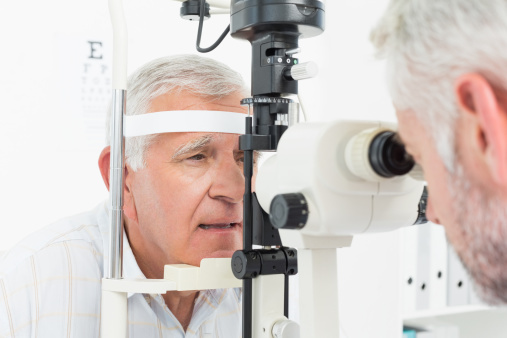 According to the National Eye Institute (NEI), the number of Americans with critical eye diseases is on the rise, mainly as a result of the aging population. The NEI estimates that blindness, or low vision, affects just over three million Americans—one in every 28 people over the age of 40. The NEI also estimates that by the year 2020, the number of people who will develop vision issues will increase to 5.5 million—a 60% jump. This occurs when there is a physical disturbance of the macula (the center of the retina). It is one of the main types of eye diseases and can eventually destroy your central vision. Dry AMD will gradually affect your central vision within a few years and wet AMD can cause an immediate change in vision. Symptoms of AMD typically include straight lines that become wavy (wet AMD), blurred central vision (dry AMD), problems seeing distant objects, problems differentiating colors, and/or experiencing dark or blank spots that block your central vision. This degenerative eye disease can cause the eye lens to slowly become cloudy and lead to vision loss. Symptoms can include clouded vision, double vision, or sensitivity to light. It can occur when there is an accumulation of fluid in the macula area; severe blurred vision is the main symptom of this eye disease. This eye disease occurs when there is a build-up of fluid in the eye—this can lead to pressure that causes damage to the optic nerve. African Americans and people with high eye pressure are at a higher risk for developing glaucoma. Blurred vision and loss of sight are main symptoms of glaucoma. With technology rapidly advancing, it comes as no surprise that medical software has made its way into the smartphone industry. Researchers are hopeful that the smartphone diagnosing tool will help; after all, the sooner an eye disease is diagnosed, the easier it is to treat the symptoms and help prevent the patient from going blind. Even so, to help prevent vision loss and catch eye disease in their early stages, it’s generally recommended that you schedule an eye exam once every two years. Schedule an appointment with your eye practitioner right away if you are experiencing severe eye issues. Sinpetru, L., “Medical Experts Can Now Use Smartphones to Detect Eye Disease,” Softpedia web site, July 6, 2015; http://news.softpedia.com/news/medical-experts-can-now-use-smartphones-to-detect-eye-disease-486091.shtml. Kozarsky, A., “Detecting Eye Diseases and Conditions,” WebMD web site, September 29, 2013; http://www.webmd.com/eye-health/detecting-eye-diseases-conditions?page=5.